I love ‘fridge clean-out’ kind of soups. 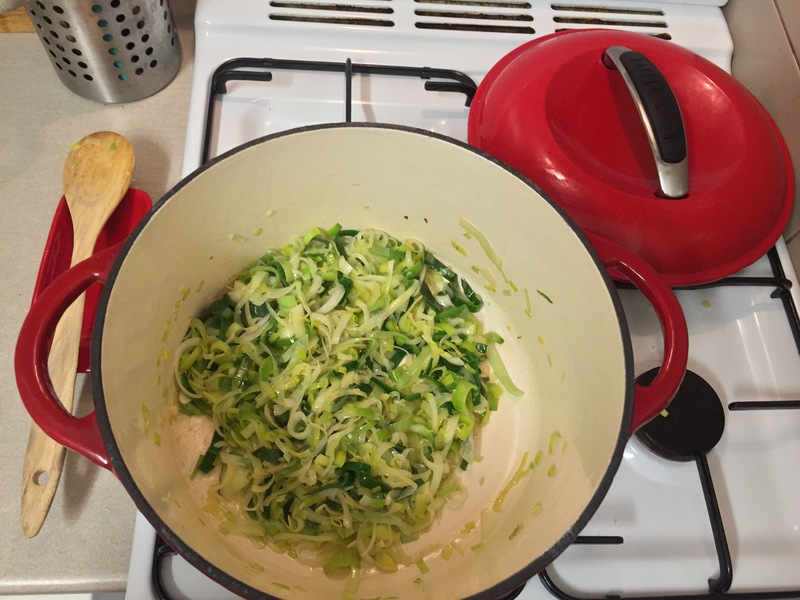 The other day I found a globe of Savoy cabbage and leek in my fridge. Rustling through the pantry I found a couple of potatoes. 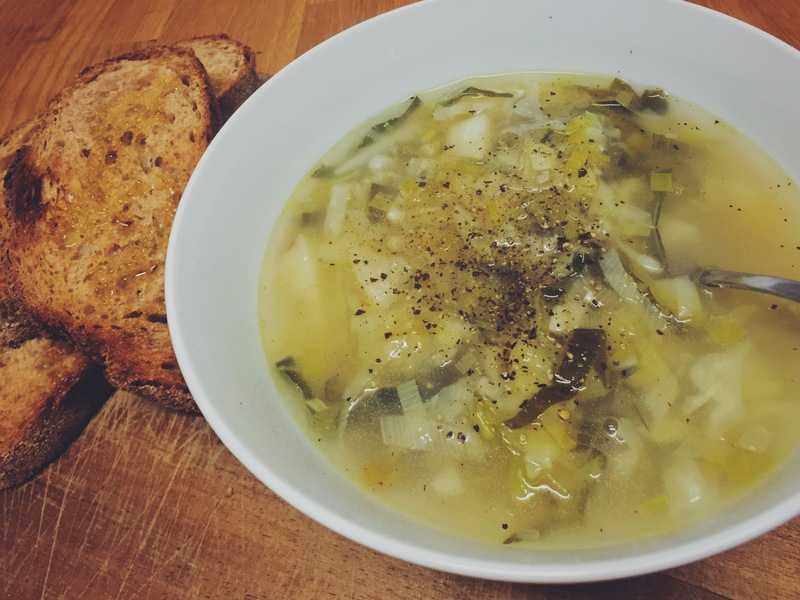 There was only one way these ingredients were headed, into a large crockpot and coming out as a warm bowl of comforting soup. 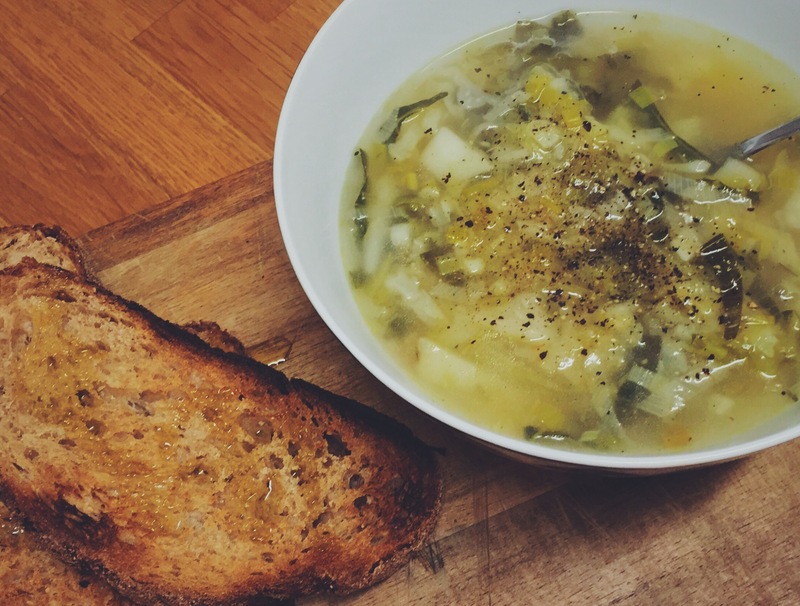 Cabbage gives this classic potato and leek soup a real textural twist. My philosophy behind cooking is about always trying new things. Whether that is flavours, ingredients or cooking techniques they all make us one step closer to becoming culinary geniuses. In a heavy bottom pot, melt butter and heat olive oil together. Add garlic, once aromatic add leek. 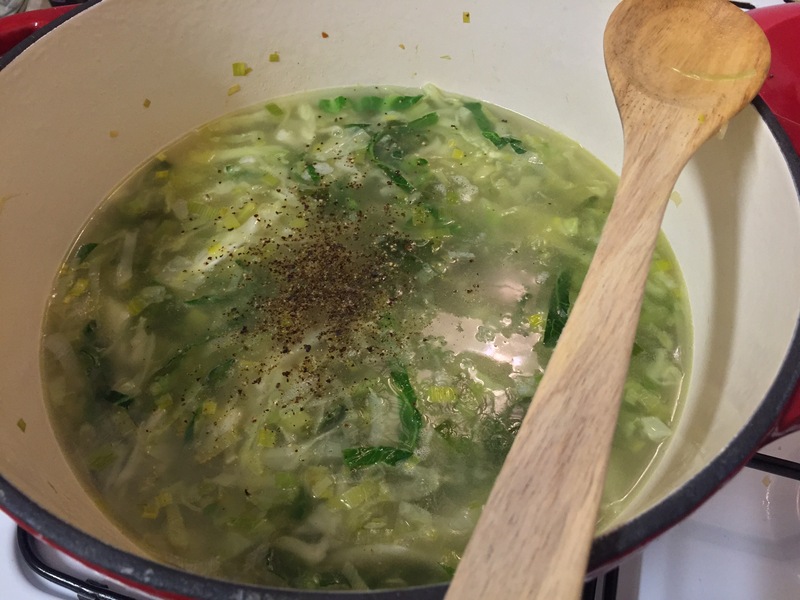 I usually use the white part of the leek only, but this time I used the green bits too. 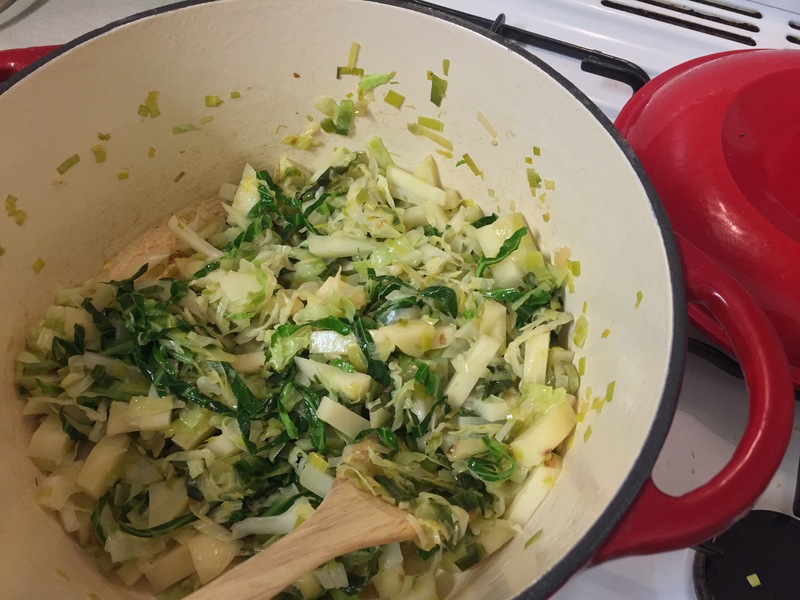 Lower the heat and cook until leeks are slightly soft. Now add the cabbage and mix the ingredients well. Add potatoes, stock, season with salt and pepper. Finally add a bay leaf and cover the pot. Cook on a medium heat until potatoes are soft. Your lip smackingly delicious soup is ready to serve. Personally I like my soups with texture, but you can blend yours if you wish. Garnish with some more crushed black pepper, serve alongside some warm crusty bread. Another winter warmer to comfort you on a cold night.